I am thrilled and honored to announce that I am the Young Adult Honoree for the 2016 Triangle Walk to Cure Arthritis, sponsored by the Arthritis Foundation! A copy of my little arthritis-bio can be found below or by clicking here. 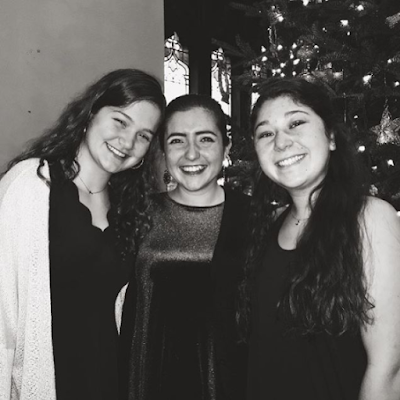 Rachel will be 17-years-old this May, but was only 11-years-old when she first began experiencing symptoms of juvenile rheumatoid arthritis (JRA). She knew something was wrong when her elbow was constantly aching, and after bouncing through a variety of specialists and dealing with the physical and emotional consequences of misdiagnoses, she found herself with a variety of Arthritis Foundation pamphlets explaining juvenile arthritis, a term that was admittedly foreign to her at the time. Rachel’s rheumatologist explained that her joints were like rivers instead of canyons; ultrasounds on her elbows, knees, and ankles confirmed the presence of fluid and swelling that was causing her pain. Rachel is still in the process of trying a variety of treatments for her arthritis, from NSAIDs to DMARDs to biologics. During the early years of her disease, she went to physical therapy often because the swelling in her joints resulted in muscle stiffness,greatly limiting her mobility and range of motion. She is currently managing symptoms with a DMARD and a biologic, but is not in remission. She still has bad days in which activities like writing and walking are extremely difficult. One of Rachel’s biggest challenges as a young person living with arthritis is explaining to friends and teachers that she has a disease that is typically misunderstood as exclusive to older people. The invisibility of her illness and perceived mildness of it has often left her searching for validity and upset at the lack of understanding. She has trouble asking for help without feeling like a burden, and frequently struggles to verbalize exactly how she is feeling during flares. Rachel wants people to know that, If you are currently living with a form of arthritis or another autoimmune illness, reaching out for help, whether it is physical or emotional, is not only a good idea, it is essential to living in a sustainable way and preserving energy. 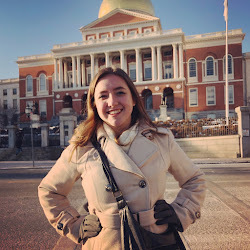 Even though these challenges exist, Rachel is constantly motivated and inspired by people she meets through the Arthritis Foundation and through the chronic illness community. She has learned to be an empathetic advocate, willing to stick up for herself and serve as a resource to other patients. As part of her advocacy and journey toward being more open about her arthritis, she started a blog that can be found at www.rachelplusrheum.com. She is learning that sharing both the beauty and pain of living with JRA is helpful to herself and to others. Most important, she is extremely grateful for people affected by arthritis who have shown her compassion and support as she attempts to navigate this ongoing challenge. As the Young Adult Honoree, I am the captain of a team called "Rachel's Rock Stars" that will be fundraising and attending the walk on April 30th. If you would like to make a donation or join my team, please click here for the appropriate page. My goal is to raise $1,000 to help people like myself dealing with this disease. Finally, I would absolutely love for all of you who live nearby to come out for the walk itself on April 30th. It is guaranteed to be lots of fun and it is a wonderful way to spend a Saturday morning! Additionally, the event is kid- and pet-friendly, plus if you bring your baby or your puppy I will love you forever. Thank you all for your support! I did not start off this week thinking that it would rank among some of the greatest weeks in my life, but it quickly tumbled into something incredible. I started by visiting an out-of-state college, which was exciting and joyful and made this whole moving-away-in-less-than-six-months thing feel very real. I had a lovely time with my parents and sister, and I am looking forward to sharing an official college decision with you all in April. When I returned to school on Tuesday, my calculus quiz went better than I anticipated, and I was greeted by a swarm of enthusiastic friends who genuinely want the best for me. In a world full of unnecessary competition, where college is made out to be a high-stakes game manufacturing winners and losers, I love how excited and selfless my friends are as we celebrate each other's accomplishments. Honestly, I am having way more fun watching my friends being accepted into a variety of phenomenal universities than I am being accepted myself. We've already danced around over decisions and mourned a bit over others, so there really is not any reason to be nervous or apprehensive about all that is coming up in the next month. I was thrilled to be accepted into another college high on my preference list in the middle of the week. Hillary Clinton announced that she was going to be speaking at a local high school in my district, and so of course I sent my RSVP within five minutes of the announcement. I parked and stood in line with my sister at noon, waiting for the doors to open, and it was 5:30 before Hillary Clinton actually took the stage. Aside from about twenty minutes of sitting down on the pavement, carelessly eating some dark chocolate and reading a book, I was standing the entire time. I did not wear my knee braces, because I did not want to be the odd one out and also my knees kind of feel like little burritos when they are all swaddled with gray orthopedic fabric "tortillas," and I did not want to spend six hours standing up with burrito knees. Seeing and hearing Hillary Clinton speak was absolutely amazing. Once we were in the high school gym and before she even arrived in the city, I found myself bonding with an amazing group of women who, like myself, were hype for the prospect of a woman president. Clinton was scheduled to speak at 3:50, and by 3:00 I was already in tears thinking about how excited I was. When she came out at 5:30, my friend and I sobbed in an embarrassing but also encouraging manner. "Don't worry, I cried the first time too," some of the women older than me assured us. There is something about seeing a woman on a presidential stage that excites me beyond belief. Maybe it's that I have seriously considered careers in which women are routinely discriminated against. I have dreamed of obtaining a divinity degree for a while now, and every time I bring up that aspiration I am risking being told that because of a single chromosome God thinks I am incapable of leading a congregation. Complementarian viewpoints make me want to puke because they are incredibly offensive and hypocritical, yet they are so popular in a world where white, Christian men seem to think they are the chosen ones. I literally feel nauseous when people begin their patronizing speeches of sexist remarks laced in faulty scriptural interpretations. When I see Clinton standing on a stage, campaigning for a title that many claim (either explicitly or otherwise) is better suited for men, I am extremely proud of her and of all the women that have worked to make this possible. I absolutely love being a woman, and though I will never be okay with the constant discrimination or the harassment that accompanies my gender, I would not trade the inherent and immediate bond I have with other women for anything in the world. 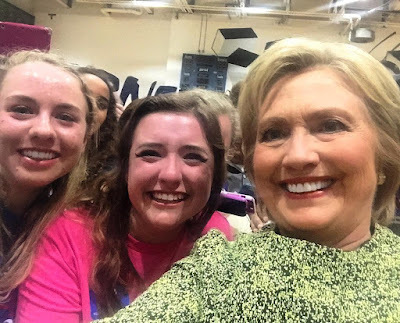 Needless to say, the campaign rally was a wonderful experience, which was perfected when my friend Amelia and I (see: "Why My Chronic Illness Demands Feminism") actually got to meet Hillary Clinton following her speech. Clinton even took a selfie of the three of us using my phone, so obviously I can never switch phone cases or clean it. I'm done campaigning now, I promise. All in all, it has just been a wonderful week. So why am I writing this? What does it have to do with arthritis? The truth is, I was in a lot of pain for the majority of the week. On Tuesday my hands were so painful that I had to ice them in the middle of class (such a hassle, don't even get me started), and somehow the burning sensation of the ice on my skin hurt less than the swelling taking place in those tiny little joints. On Thursday night, I was sure I was going to have to use my wheelchair on Friday, although I ended up being okay to walk. My knees have felt a lot mushier than usual much of the time, and the reality that Orencia probably is not a drug that is going to launch me into remission is beginning to creep up. Class transitions stress me out immensely, because I want desperately to be able to keep up with my friends and chat as we go, but at the same time I try to avoid walking with them because I do not want to slow them down. The best weeks of my life might involve considerable arthritis pain. The time I spent wondering if I would collapse at the rally seemed minuscule in comparison to the excitement I felt meeting Clinton, at least in hindsight. I can curl up in my bed with swollen knees, or ask a friend for help writing down my answers, or feel like I'm abusing microwave privileges by constantly asking to heat up my joint wraps, and still have a wonderful time. I need not wait until I feel better to experience joy, and I need not dismiss my best days as those behind me, before my disease became active and began to severely impact my life. Sometimes I wonder if I am unintentionally romanticizing this whole having-a-chronic-illness thing just to try to make myself (or others) feel better. Is a moment where my knees are trembling as I wait for a beloved speaker really lovely, or am I just pretending that it is because I am scared of the truth? Am I being helpful to those of you living with chronic illnesses/chronic pain? Is my budding acceptance of the way I am living physically becoming too flowery and sentimental? Am I just trying to dress up rheumatoid arthritis to make it seem less intimidating? Will all of this complexity swallow me one day? I'm unsure. I like to think of myself as pragmatic and realistic, and much of the time these self-applied labels seem appropriate to me, but at my core I am a hopeless idealist, expecting the very best of everything and everyone. I expect the very best of my immune system, and I expect it to protect me instead of attack me, but I also expect the best of myself, and sometimes that involves having the greatest moments of my life even as I am swamped with seemingly unbearable pain. I do not know how to be perfectly pragmatic, and I do not know how to be perfectly idealistic. I only know how to be me. And until I figure out a way to be consistent and sensical, that is just going to have to be enough.